Chesapeake Bayhawks fans can watch all the team’s games on cable television thanks to a unique partnership with NBC Sports Washington. For the second straight season, NBC Sports Washington will broadcast all Bayhawks games, both home and away, on a tape delay basis. This exclusive package will give fans multiple opportunities to watch each game on a regular weekly schedule. Look for ongoing updates throughout the season from the Chesapeake Bayhawks and NBC Sports Washington on replay schedules and upcoming events. 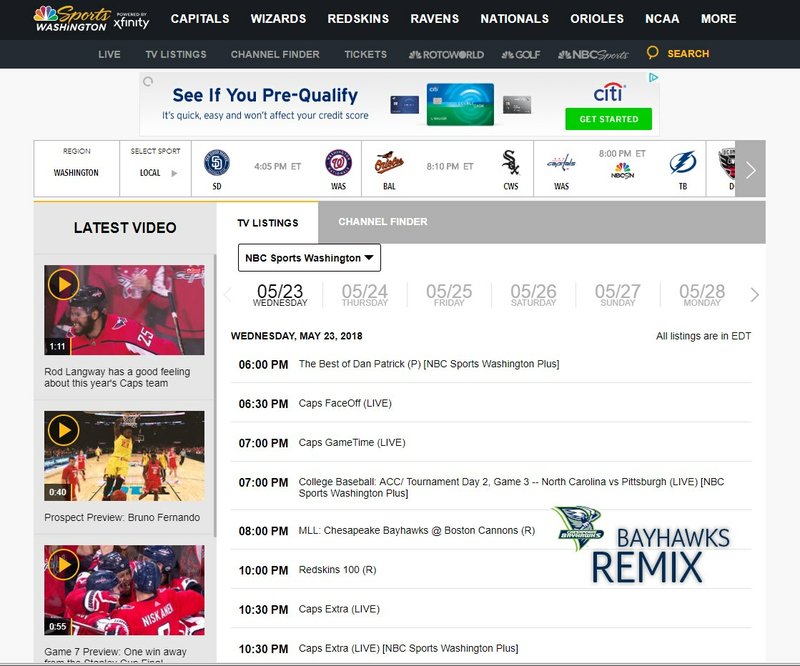 To find upcoming Bayhawks Game Replays: Go to https://www.nbcsports.com/washington/ontv and review the Listings Grid for scheduled times. Use the Channel Finder to find NBC-SW by the provider in your area.